Product development and prototyping has enough challenges for you and your design team to face without any extra road blocks slowing down your work. Unfortunately, there are all too many prototyping mistakes that can seize up the entire process. If you’re trying to get your product out on a tight schedule, prototyping has to go smoothly for the product to reach its final design with few delays. Even experts in prototyping new products can still fall for some of the most common prototyping mistakes. Discuss these prototyping problems with your team before starting your new design project to keep everything flowing smoothly. This is one of the biggest challenges to prototyping medical devices, but when you’re aiming to sell products across multiple countries, missing one compliance requirement could leave you facing costly redesign processes when you thought you were cleared for release. It’s not necessary to make sure your very first prototyping results are compliant with every relevant requirement, but researching the compliance complications should begin as early as possible during prototyping. Even when a compliance issue is as simple as maintaining clear records during prototyping, manufacturing, or testing, you need to know how each country’s unique sets of laws will affect your product’s final design. This is a problem that is particularly common among entrepreneurs and inventors working on their first product, or even just a product they feel particularly passionate about. Passion for your product is a good thing, but you can’t let it interfere with the changes necessary during prototyping. True prototyping often requires radical and surprising adjustments. In fact, prototyping may change your product entirely into something you didn’t expect. Feeling too personally invested in the original design or idea can make prototyping a waste if you’re not willing to make the adjustments indicated by testing. 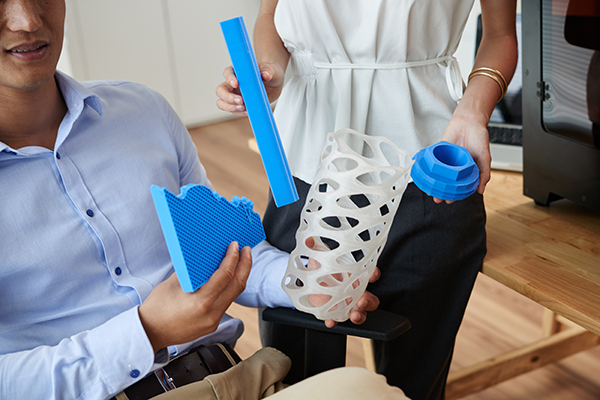 Whether it’s a delay in funding, difficulty choosing materials, or excuses from your designers, delays in prototyping can lead to the failure of a product before it ever reaches the manufacturing stage. Prototyping needs to remain a smooth and seamless process with no long delays between testing and redevelopment. To keep your speed steady, be flexible in your choice of prototyping services and materials. You don’t necessarily need to use the same methods for prototyping that will plan to use for manufacturing. For example, 3D printing is one of the most affordable and fastest methods for prototyping. Even if you know you won’t be able to use it for final manufacturing, it can keep prototyping steps flowing smoothly and with fewer dangerous delays. Prototyping isn’t just for your design team to understand the real world implications of their work. When made with the right methods and materials, prototyping can be used in multiple ways to give you essential feedback. Testing methods important to the prototyping process include focus groups with customers, usability tests, compliance assessment, and more. Forgetting to run any of these tests during the prototyping stage creates a serious risk that you must return to the drawing board and spend more money to restart development after discovering a serious flaw. Visual accuracy matters when you reach the high fidelity stage of prototyping, which is when you’re refining final details like surface finishes and color options. Unfortunately, many designers are focused on visual appeal during the very first steps of rough prototyping as well. Designers have this inappropriate focus during prototyping because of a desire to work out every layer of details at the same time. However, any product worth prototyping obviously has features that are more important than aesthetics. Concerns about the look of a prototype often arise after consumer testing in which the users report dissatisfaction with the visual appeal. It’s not usually a good idea to ignore the rests of focus group testing, but when it comes to prototyping and visual appeal, you have to know when to apply that information for maximum effect. It’s better to fine tune every other feature and detail first, then polish up the visual appeal with your last few rounds of prototyping. Finally, the difficulty of prototyping is also affected by the exact method you choose for making the prototype. If you choose a prototyping process that doesn’t match the needs of your product, you’ll lose money and time on prototyping that doesn’t contribute much to the process. Even experienced designers can struggle to find the ideal prototyping method for a new product. Talking over your designs with the providers of various prototyping services can help you pinpoint the right service for each phase of development. Don’t be afraid to use 3D printing for one stage of prototyping and a different method later as the product develops and changes. Looking for help with any part of the prototyping or product design process? European Subcontracting Network is the fastest way to find help to get your product to the market with minimal roadblocks.